We just learned about the Node of Ranvier. 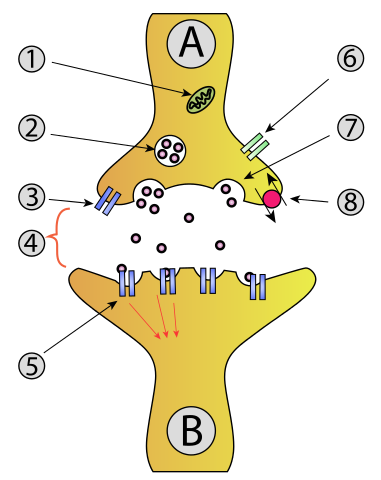 Another part of the neuron is the Axon Terminal. The Axon Terminal is the branch that goes out after the end of the long Axon, and it uses electricity and chemicals in the body to talk to other neurons.